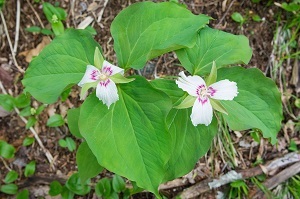 MARSHFIELD, Vt. – Vermonters are invited to join Vermont Fish & Wildlife’s lead botanist Bob Popp for a Mother’s Day Wildflower Walk at the Stranahan Town Forest in Marshfield. Popp will be leading the walk along with Annie Reed, chair of the Marshfield Conservation Commission and biology instructor at Vermont Community College, on Sunday, May 12 from 1:00 to 4:00 p.m. The walk is co-sponsored by the Stranahan Forest Stewardship Committee, the Marshfield Conservation Commission and the Jaquith Public Library. The group will meet at the Stranahan Forest parking lot at the beginning of Thompson Road, right off Hollister Hill Road. The walk is free and space is limited to the first 25 people who register at www.vtfishandwildlife.com.